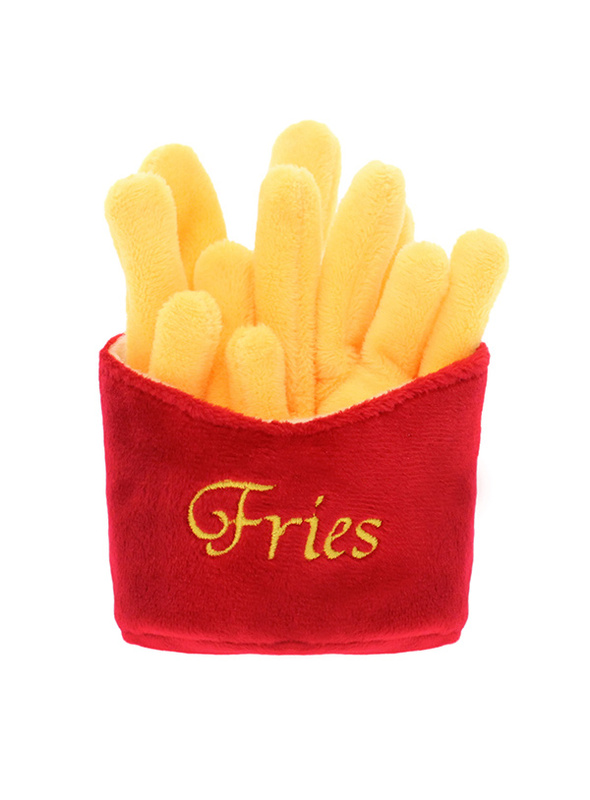 Who doesn't like a portion of fries? For the complete meal deal team them up our juicy burger and milkshake toys. This classic American fast food toy will keep you dog amused for hours, maybe even long enough for you to eat yours before the begging starts. This toy will provide hours of fun for your pup as he squeaks with every bite. These soft, cute and cuddly toys are designed for your dog to both snuggle with and play with. Double layer exterior and double-stitched edges ensure extra durability.